A convertation of panorama was my pain for a few days, so I’ve decided to create a simple tool for a converting any panorama image in cubemap sides. 3) zip archive with images for a further compression with ATF converter. I wish I could provide more positive feedback on your code, but I have not had positive results. I am providing this feedback in the hopes that you will be able to improve your work. I have no interest in slamming anyone, so please remove my comments as soon as you have retrieved them. If there were a simple email address to which I could send my comments, I would do so. A. Since your blog was made famous a little less than 48 hours ago, I have spent over 4 hours trying to work with what you have. B. I have devoted more than a full 60 minutes of raw cpu time on two different systems. C. I have yet to receive any usable output. We have a colloquialism in English: Beggars cannot be choosers. I am very much a beggar. I haven’t the slightest idea how hard it is to process an incoming bitmap to produce the six output images required for a properly configured skybox. I am very much a beggar, I don’t own any of the expensive software that others use to produce such images. I am very much a beggar, I don’t own the digital camera equipment necessary to take those six individual images. So, I am most hopeful that you can turn some of my panorama images into the proper skybox. 01. I mostly tested your code on the same system that I use to produce and render 3D content. It is a pretty decent, quad processor with clock speed of 2.4MHz. I use good old XP, so I can successfully address a little less than 4GB of ram. 02. My first tests were with my normal browser, Firefox. They failed. 03. Because I could monitor progress and it appeared that the failures might be something trivial dealing with the dialog for saving the results, and because some well-behaved html/flash embed fails with Firefox, I transferred over to Chrome which usually does not fail on matters of html, but the result was only slightly different. 04. Because I saw some comments on this blog that folks working on Macs were having a little more success than I, I moved over to my very weak Mac Mini that is just a dual core unit running Snow Leopard at a 1.8GHz clock with 2GNs of ram available, but Chrome behaved and failed there as well. 05. So, since I am not a Mac person, I thought I would give it a try with Safari, but that did not fix the problems. So, let me describe the problems. The problems have moved a little bit, but the final result is still failure. A. Your progress display is not very useful if the the user has no idea what to expect in the way of elapsed time. B. When your progess bar spins for more than five minutes, with no output, most people are going to give up. C. When I monitor what is going on in Windows Task Manager — no, we beggars can’t use Scout or anything so nice, as Adobe purposel left the 32-bit world behind — I clearly see that something is happening, you are not simply stuck in a loop. D. I can easily see your footprint because your code consumes over 1GB of real memory — not just paging space, real memory. E. I can easily see your footprint because your code spreads across my four cores consuming about 40% of total compute power. F. I know you are not just in a loop, because the cpu utilization does have some peaks and valleys. All of the above is true on both test systems under all different browser configurations. What differs is the final step. With Firefox, I can never get a prompt-download sequence when the cpu has finally stopped burning up. With Chrome I can get a download dialog but only for the middle button option. At least it was a middle button when you first posted. Since you have removed the one concerning ATF, I assume you have received feedback telling you that option does not work. So, of the remaining two, the only button that works is now the bottom one that wants to produce six-sides rather than the more common crossed-t arrangement. With Safari, I was once able to get some prompt, but it immediately opened an error window saying that the flash embedded runtime had failed. So, I guess I have had some success. With each of the three source images I have uploaded, after about 8-10 minutes churning, I can get to the point where I can output/download the zip file containing cubeSides. However, on viewing that output, for all three images, your algorithm produces invalid results that are not useable as skybox embeds for Away3d. If this is of any help, please send me an email offline so I can provide you with the sources and the results. I do appreciate what you are trying to do, and despite this harsh review, I really hope for your eventual success. This beggar needs the output. Hi! Big thanks for your feedback! I will improve Panorama Converter soon. Any plan for making an AIR app version of it. it would be easier do every thing offline rather than waiting till image to be uploaded. Hi Amer, Converter doesn’t upload an image, it only processes it. Thank you for the idea, I want to make a convertation in atf also and will do desktop AIR version of it. 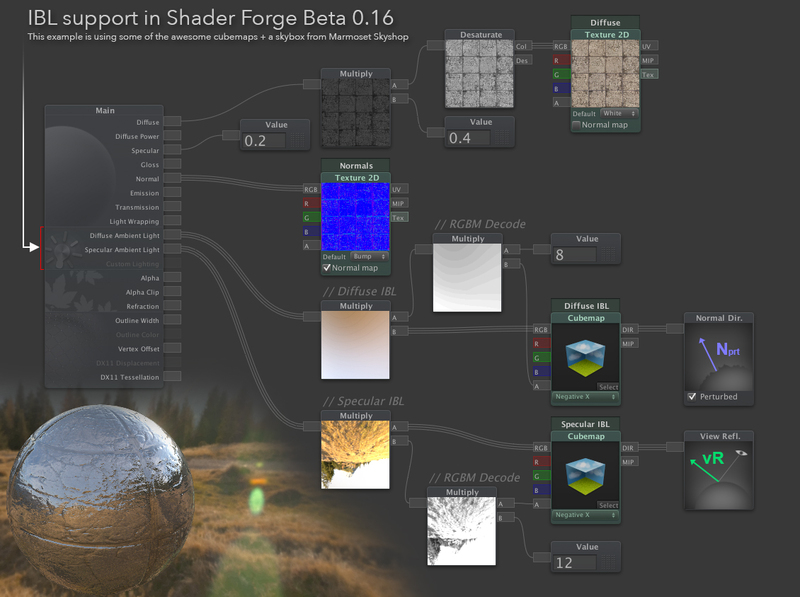 I beleive Marmoset skyshop does convert HDR’s into RGBM-PNG but it’s expensive. Thanks if you reply! How can i specify size? Png? Jpg? What is this a joke? the output size equals to the height of the input pano image. Is it possible to also create an online tool here (another web page) to do the opposite, – to convert from (horizontal cross) cubemap image to (equirectangular) spherical image ? I just wanted to thank you for such an awesome tool. It saved me a lot of time when throwing together prototypes for games with no artist around. You rock! Is it possible to output a 16 bit PNG file? At the moment, I am getting an 8 bit PNG output, but need 16 bit for higher colour accuracy! Very nice program. I’d like to see a few more features, such as customization of output resolution / format, but it worked nicely for what I needed, and it’s perfect for now. Is there a cut rules can provide it? Can you please describe which cut rules do you mean? HEY!! This works great as it is. As far as the file size goes, quick fix. All I had to do was scale the images down to 1024 x 1024 and they work perfectly! Wow, works great. Just what I was looking for, many thanks.